We would like to introduce you to our company and who we are. As part of our commitment to our customers we applied within our first two years for UKAS accreditation and obtained accreditation to ISO17025 in 2011. 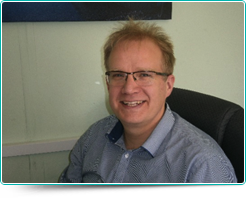 David has over 20 year’s experience in the industry working in all areas of laboratory. Currently Managing Director of DM Scientific and is looking at developing new tests and moving the company forward. In his spare time David is an active member of Northallerton Roundtable and is a school governor. 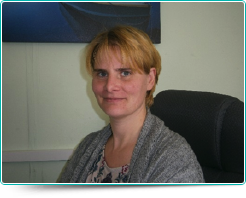 Valerie has worked in the industry since 1998 and predominately sees to all of the Financial/Administration aspects of the company. Valerie spends her spare time looking after their three children and Toffee the Labdog, and treasurer of the childrens schools PTA. 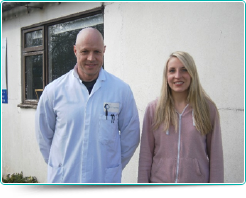 Andy and Becky are key members of the Laboratory team and are responsible for delivering an excellent service. Andy has been with the company since the beginning and worked in the industry since the mid nineties. Andy is a keen fisherman and plays cricket for West Tanfield cricket club in the summer. Becky has been with the company since gaining her degree and is a vibrant member of the team. Becky keeps fit cycling to work and is a member of Thirsk harriers. 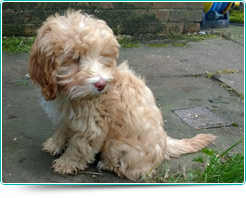 Toffee the latest addition to the company, she is the laboratory mascot and spends the time digging holes and sleeping on Valerie’s feet.